Wildlife Queensland is simply aghast at the Premier’s latest attempt to gain community support yet again at the expense of the environment and our wildlife. A north Queensland Council showed wisdom and rejected a call to disperse flying foxes without a well thought out plan. 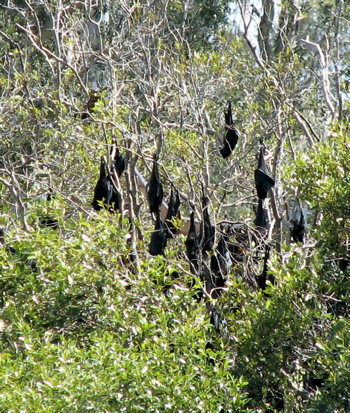 Biosecurity Queensland and Queensland Health provide very sound advice on how to coexist with flying foxes. Wildlife Queensland suggests that the Premier heeds that advice based on science not urban myths and for once let the experts deal with the challenge. ‘It is obvious that the Premier has no appreciation of the vital significant role these much maligned species play in ensuring ecological processes continue. These flying foxes, the long range pollinators, are partly responsible for the healthy forests the community relies on to provide fresh air and special places where you can enjoy and commune with nature’ stated Boyland. ‘Now as if to add to the problem, not solve it, the LNP Government has initiated action to amend the Vegetation Management Act, the outcome of which is the possible loss of flying fox habitat. When will they ever learn’ concluded Boyland.